Dairy products, namely sour cream and cottage cheese. 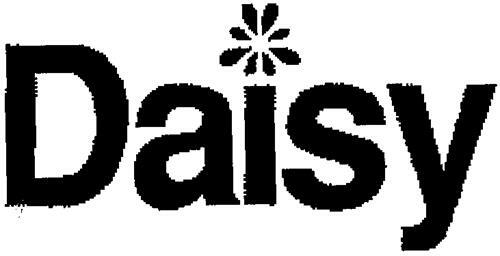 On Wednesday, August 6, 2003, a canadian trademark registration was filed for the above pictured logo by Daisy Brand, LLC a Texas limit 12750 Merit Drive, Suite 600, Dallas, Texas 75251, UNITED STATES . The Canadian IP office has given the trademark application number of 1186588. The current status of this trademark filing is Registration published. The correspondent listed for is KIRBY EADES GALE BAKER of 100 Murray Street, Suite 500, Ottawa, ONTARIO, CANADA K1N0A1 The trademark is filed in the description of Dairy products, namely sour cream and cottage cheese. .
(2) Letters surmounted by a sign of disproportionate size -- Note: Includes, for instance, a letter i surmounted by a disproportionate dot, by a star or a flower. (1) - Dairy products, namely sour cream and cottage cheese.